This holiday season, we spent all of two seconds in town. While I was sad to have minimal time to decorate our home, I did purchase a few poinsettias and wreaths. I have to admit, though, that one wreath sat in my office untouched. Sadness. It wasn’t until today — many days after New Years — that I actually hung it! 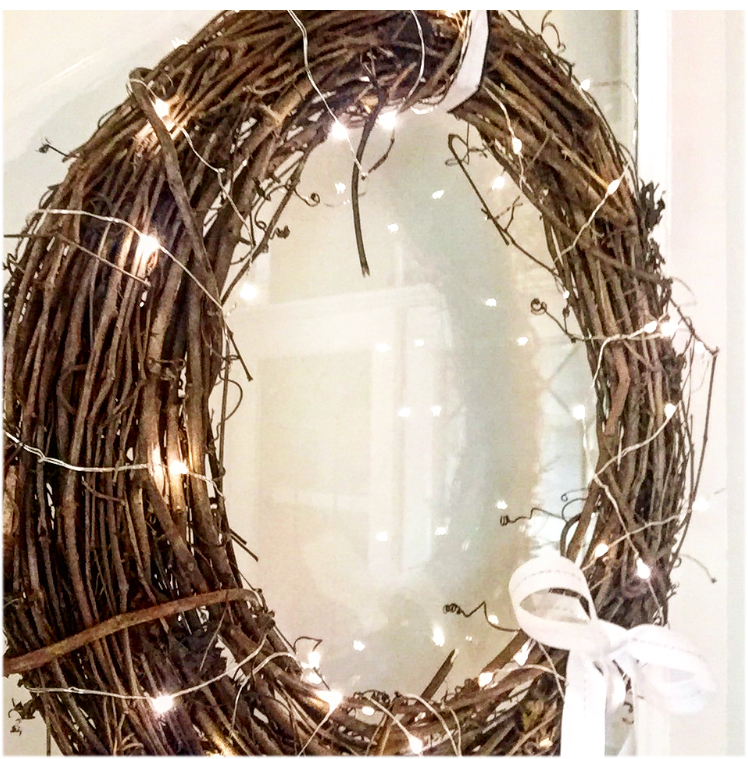 I simply strung these twinkle lights — currently on sale — around the grapevine wreath, and I tied a white and gold bow with leftover ribbon from Christmas. 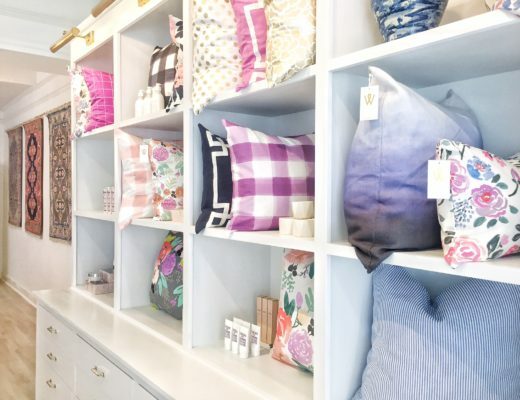 I love the finished look, and it will last through the remaining winter months! 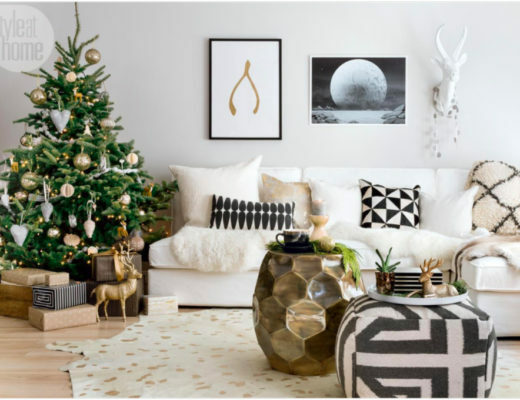 If you caught my earlier post on how to bring winter whites into your home, you may have already started to rework some items to make your home feel fresh, clean, and super cozy. 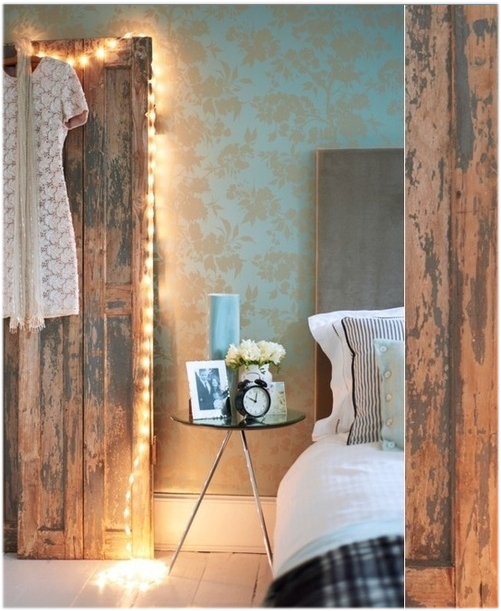 Twinkle lights are such an easy way to bring winter indoors without bringing in a tree! 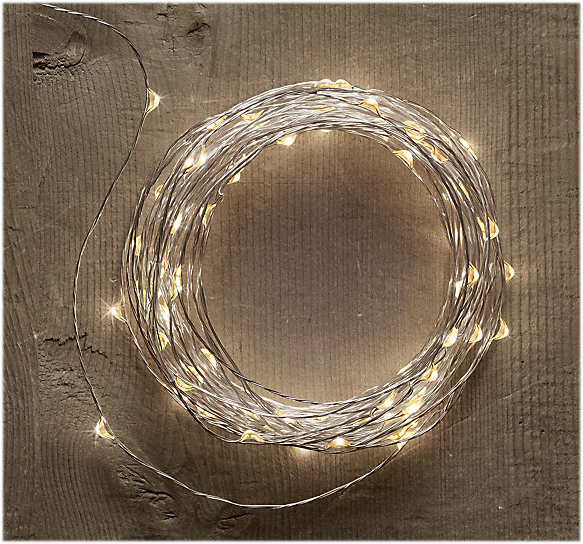 Check out these ways to use twinkle lights after the holidays! With a wedding in the near future, I love the idea of using these to tell our love story! 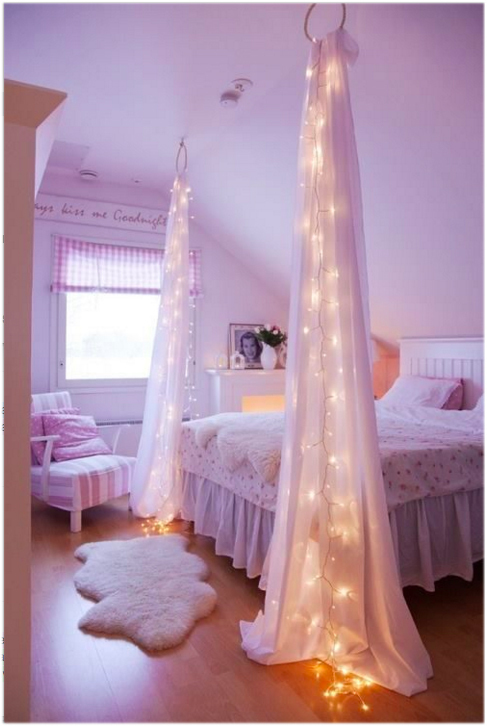 Simply hanging the lights from the highest point in the room increases the drama while keeping it dreamy! 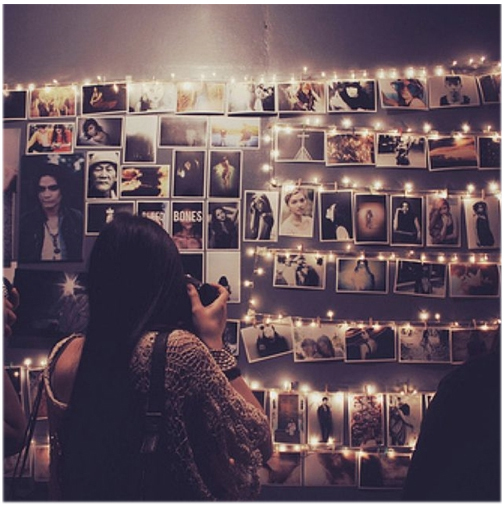 I love the idea of using lights to frame something rough while bringing out the beauty. Simply stunning. Keep it simple! 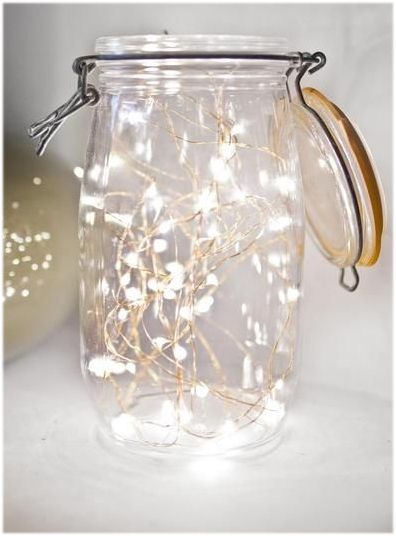 For those of you who have a closet full of mason jars, try using them in place of candles around your home. Will you be using your twinkle lights long after the tree was taken down from your manicured home?